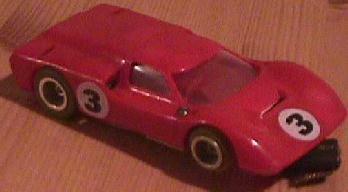 1962 Formula Jr "Carro de Corrida"
Total of brand 'Estrela': 53 factory cars, 6 reproductions, 66 total. 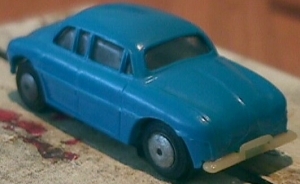 A very large manufacturer, Estrela produced numerous sets and cars since the 60's to today. 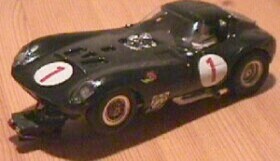 Both of it's own design and licensing from several diferent manufacturers, like Gilbert, Scalextric, AMT, Strombecker, Revell, Cox, Russkit, Monogram, Garvic and Carrera. 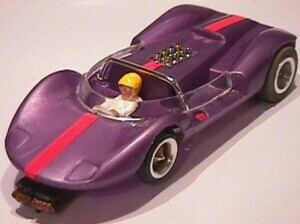 Their first set in the early 60's was licensed from Gilbert, and Hence, called "Auto-Rama" set. 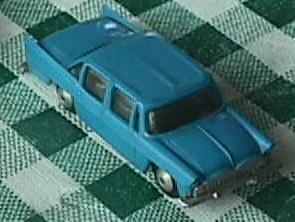 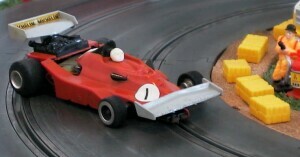 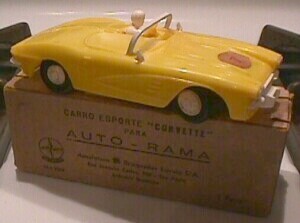 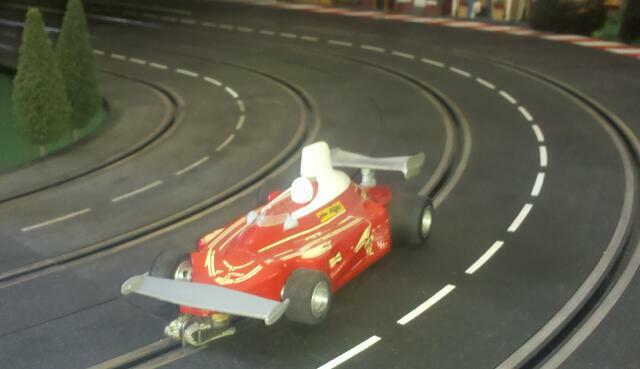 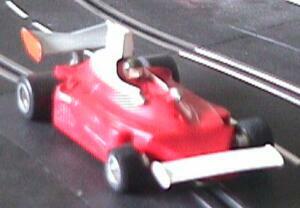 That set was so popular, that up to today the slot car hobby is called "Auto-rama", in Brazil. 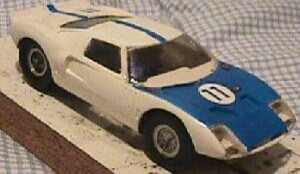 Estrela manufactured from the early 60's up to today. 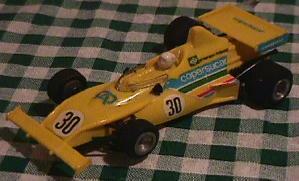 Due to the dictatorship installed in Brazil by then, imports of non-essencial goods was forbidden. 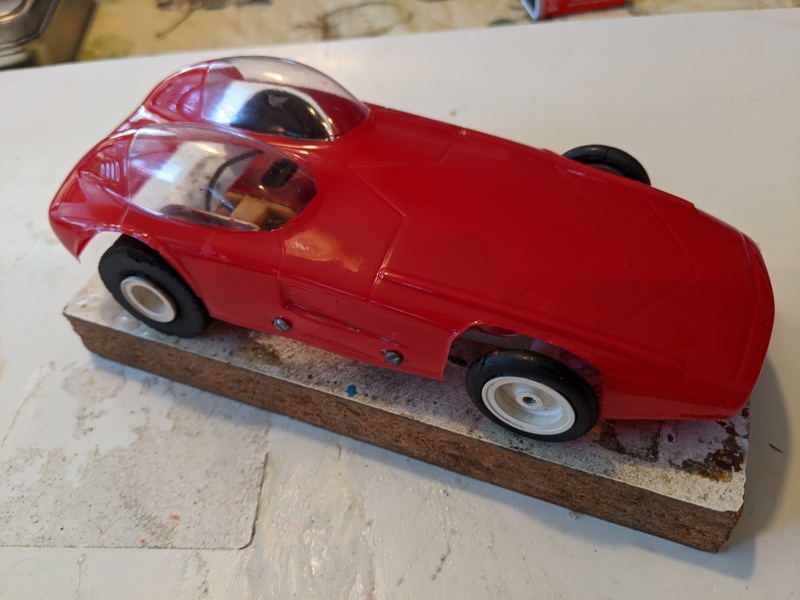 Estrela, then the worlds second largest manufacturer of toys (Unknown to most) decided to license slot cars molds and patents, from just about everybody. 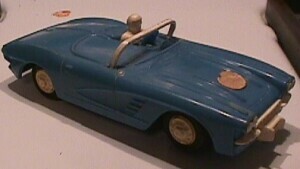 They licensed from Gilbert, Cox, Monogram, Scalextric, AMT, Strombecker, Russkit, Garvic, and many many more. 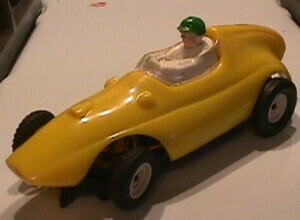 They licensed both the technology (Gears, chassis, pickup flags and such) and the body molds. 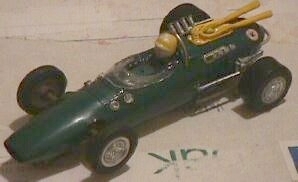 They purchased motors from a Brazilian company called Oxford, which designed their own motors: A 5-pole open motor, a 16D and a 36d, used in some 1/24 cars. 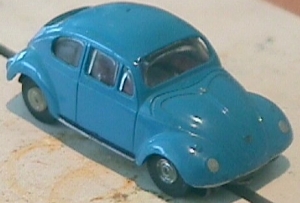 Oxord's motor designs were based nostly on Japanese motor designs. 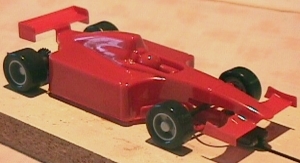 Estrela also designed chassis, and sometimes mixed with the licensed designs. 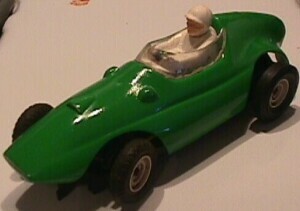 For example, their Lotus 38 has an Estrela-designed brass chassis, a beefy REB 16D, red, blue or green colors, use the strombecker mold, but with a scalextric pilot head! 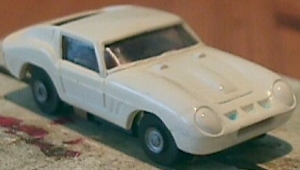 The COX ISO-FULCRUM and the original Gilbert were the only chassis that Estrela licensed something. 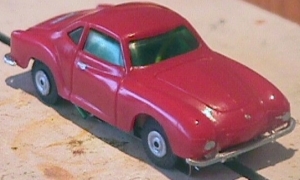 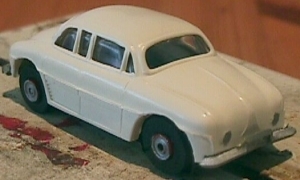 All other estrela's 1/32 scale chassis were of their own design. 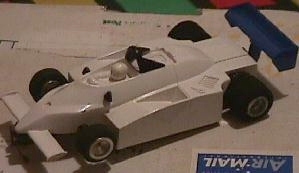 The Jaguar D and Ferrari 156 were licensed from Scalextric, their Chaparral 2, Lotus 38, Ford J were licensed from Strombecker. 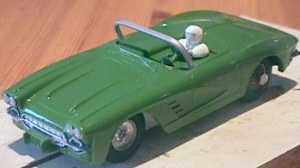 The Ford GT and Cheetah were licensed from Cox, and the Mustang was licensed from AMT. 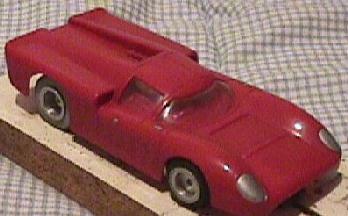 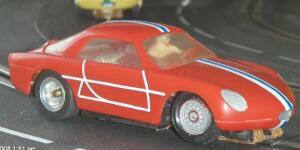 Their 908-1 Porsche was licensed from Marklin, their Alfa 33 from Fleishmann and so on. 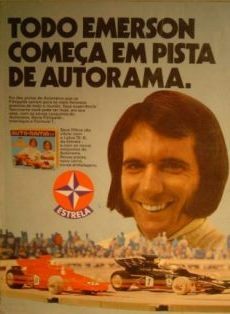 Some other ones were Estrela's own designs. 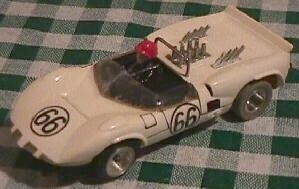 This combination made up for some "collector dreams", because you can actually see a white Cox Cheetah, or a Red Strombecker Lotus 38, or a Red/White Cox Ford GT! 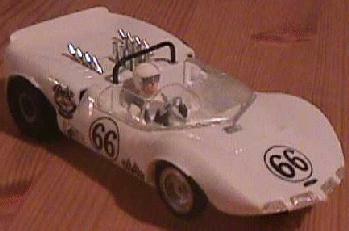 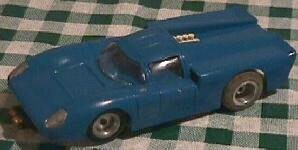 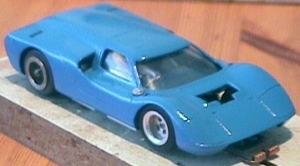 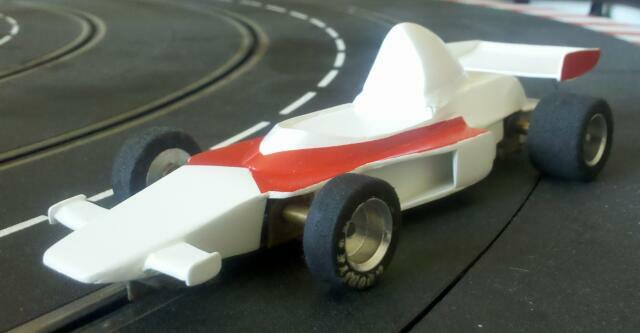 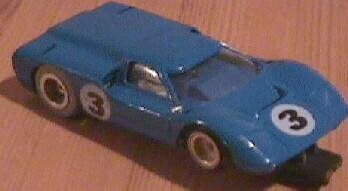 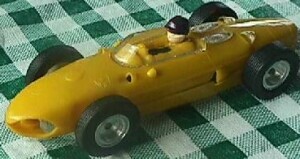 They were the only ones to make 1/32 injection molded lola t70 coupe as a slot car. 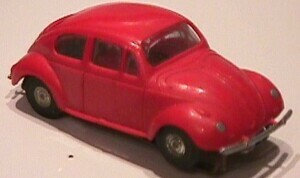 Their own mold. 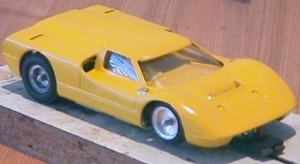 Doesn't quite hold up to the quality of a Fly, but it was unique. 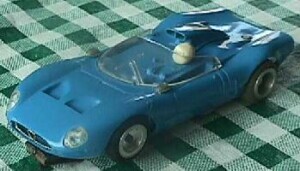 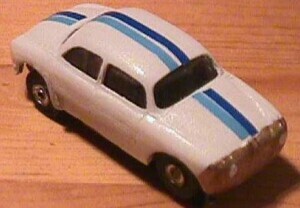 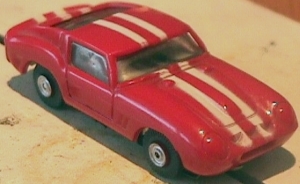 They also had an Injection molded 1/32 Willys interlagos, a Brazilian sports car, the design of this car was licensed from Alpine. 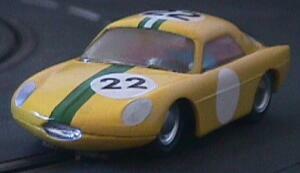 Its heavily based on the Alpine A108, but there were diferences. 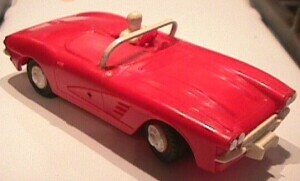 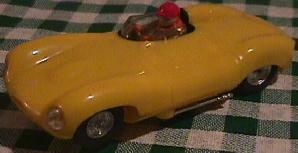 Estrela also made a Puma, another Brazilian sports car. 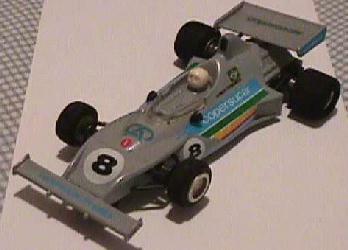 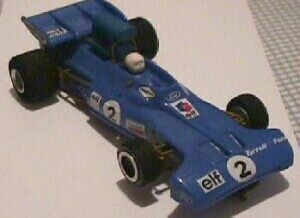 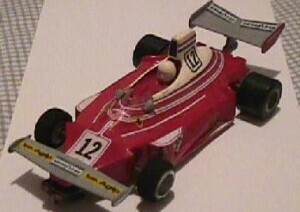 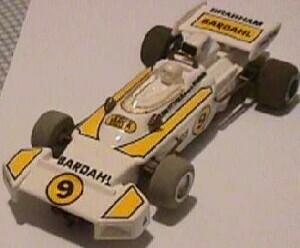 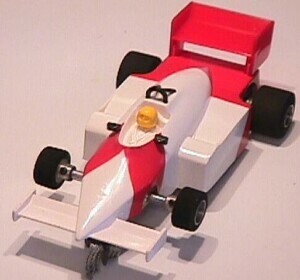 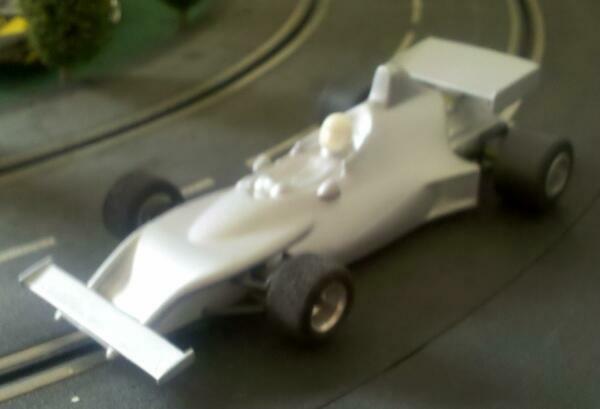 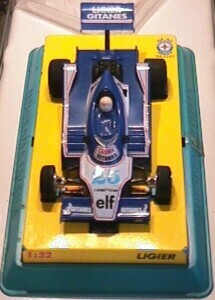 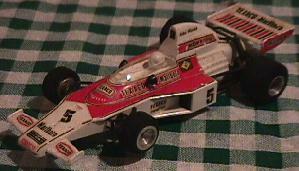 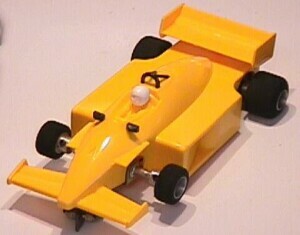 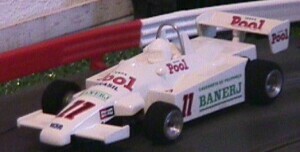 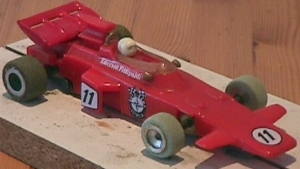 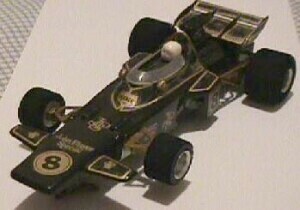 In the 70's they began to produce cars of their own design, mostly 1/25 scale 70's f1's. 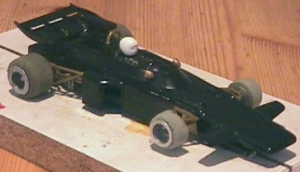 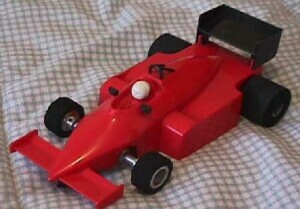 In the 80's they did the same for 80's F1, but the quality of the molds began to slide seriously. 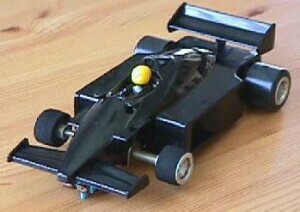 Today, they produce F1's that are "generic", Ugly.